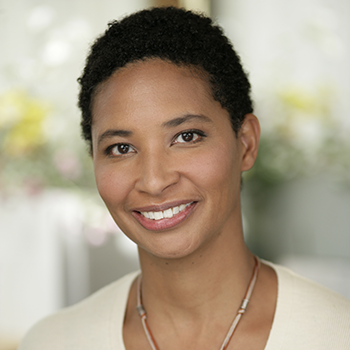 Danielle Allen is a political theorist who has published broadly in democratic theory, political sociology, and the history of political thought. Widely known for her work on justice and citizenship in both ancient Athens and modern America, Allen is the author of The World of Prometheus: the Politics of Punishing in Democratic Athens (2000), Talking to Strangers: Anxieties of Citizenship since Brown vs. the Board of Education (2004), Why Plato Wrote (2010), and Our Declaration (2014) and co-editor (with Rob Reich) of Education, Justice, and Democracy (2013). In 2002 she was awarded a MacArthur Fellowship for her "ability to combine the classicist's careful attention to texts and language with the political theorist's sophisticated and informed engagement." She is currently working on books on citizenship in the digital age and political equality and directs The Democratic Knowledge Project, a group of research projects on knowledge and democracy. Among these is HULA, a project on assessment in the humanities and liberal arts. Allen is a frequent public lecturer and regular guest on public radio affiliates to discuss issues of citizenship and education policy, as well as a contributor on similar subjects to the Washington Post, Boston Review, Democracy, Cabinet, and The Nation.